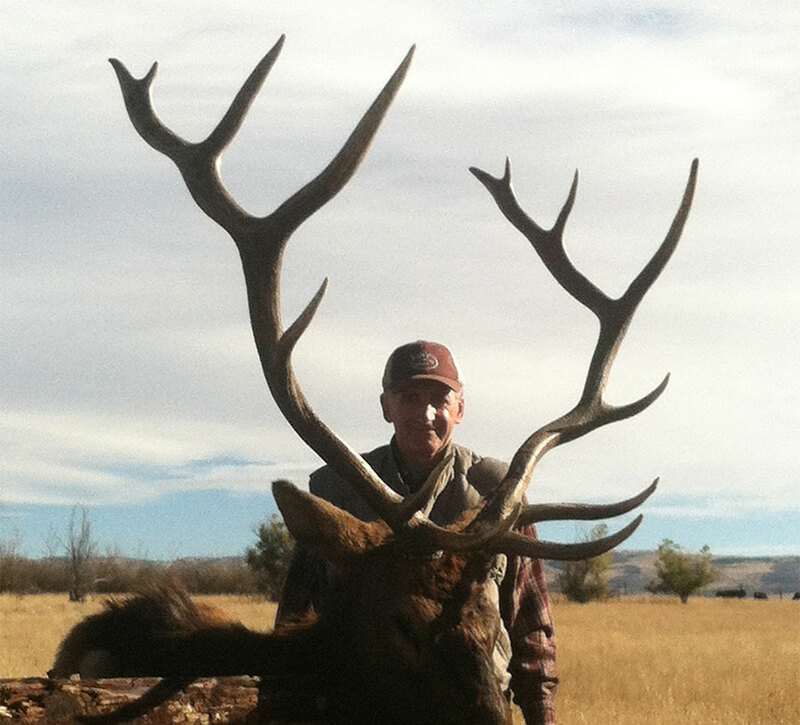 Each year we take a very limited number of bull elk hunters. 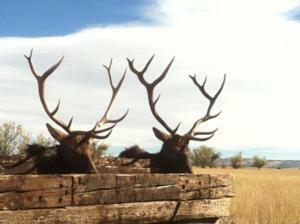 Our primary focus for each and every one of our elk hunters is to send them home with a nice 6x6 bull elk. 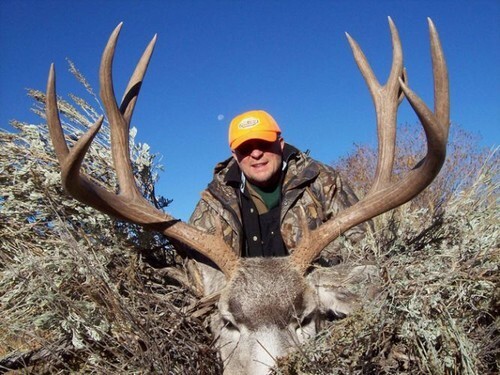 Year after year the areas we hunt consistently produce 300-370 class bulls. In the last 6 years only one hunter, who passed up shooting opportunities, did not fill his tag. 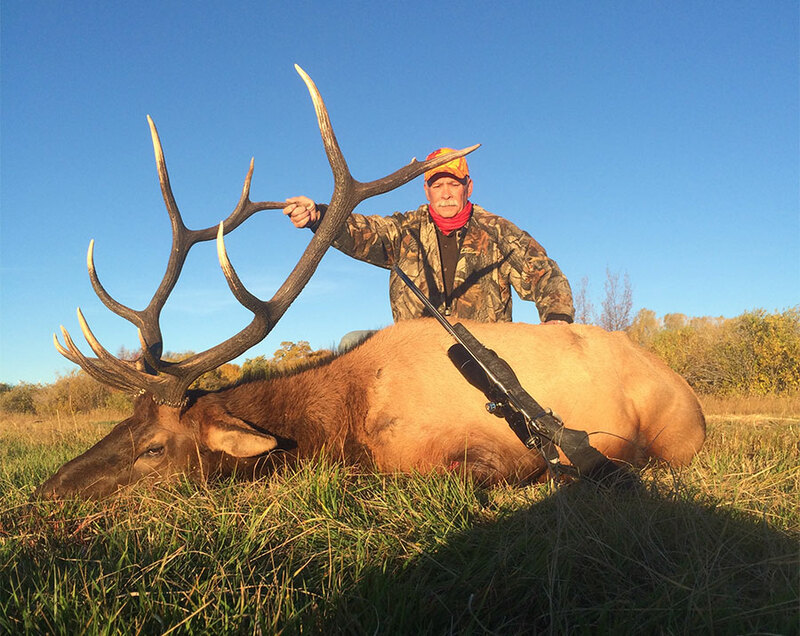 We start our elk hunts well before daylight and will hunt until dark to give you the best opportunity to fill your tag with the biggest bull elk we can find. 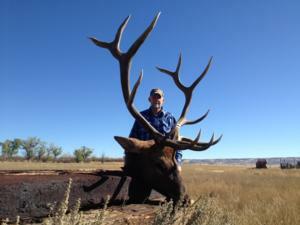 It is not uncommon while hunting with us to encounter herds of up to 300 head of elk. 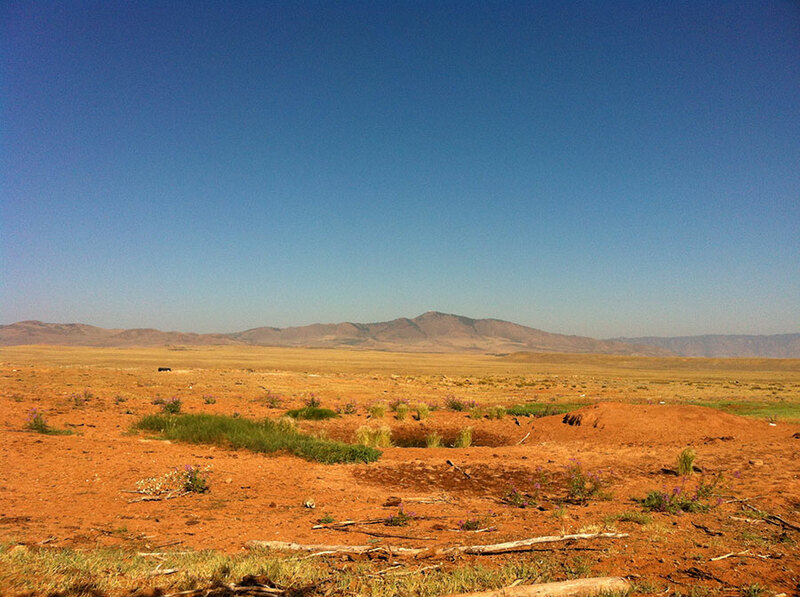 The terrain is such that we do not have to use horses to access the hunting area. 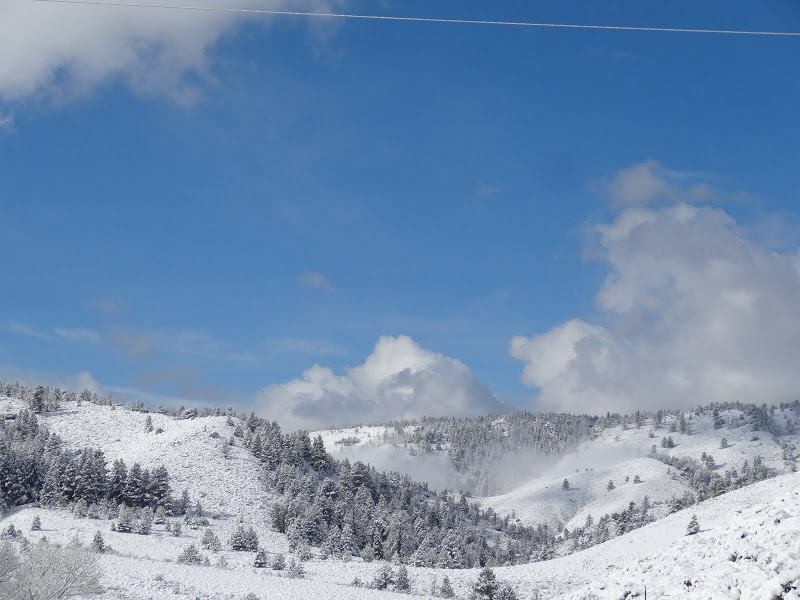 Most of our elk hunting is done either on foot or with a four wheel drive vehicle depending on the physical requirements of the hunter. 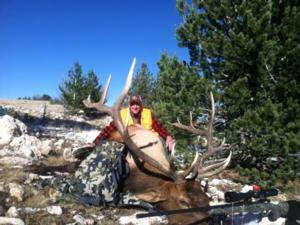 We have access and authorization on several different quality trophy elk hunting areas within southeastern Wyoming. 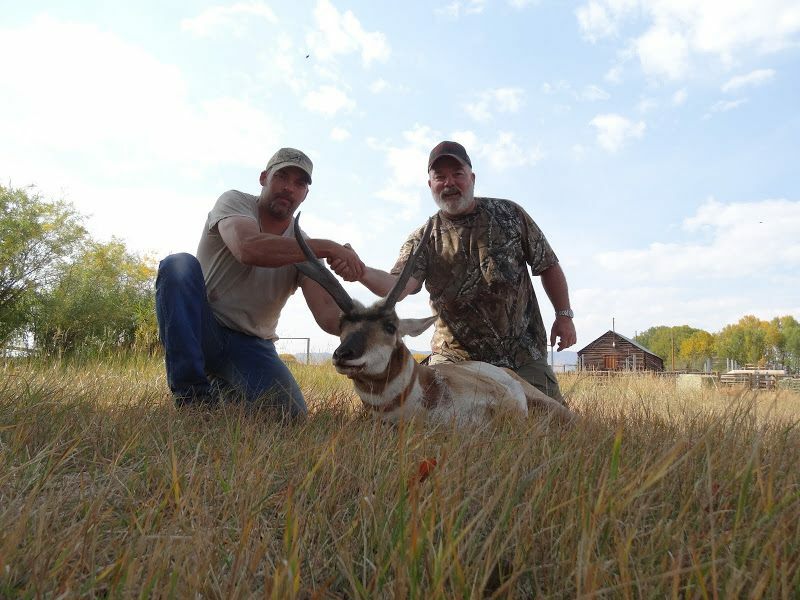 Most all of our hunting areas are limited quota areas which means we must apply in a lottery drawing, therefore it is important to book your hunt well in advance. 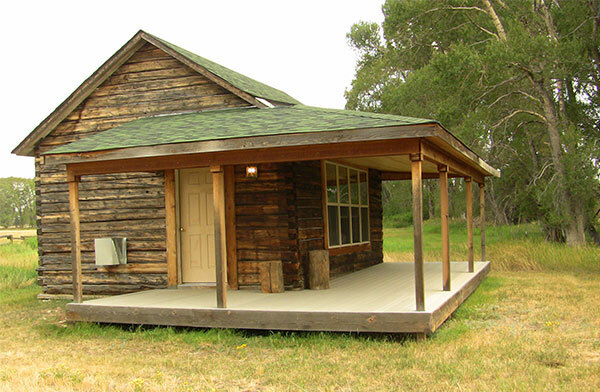 We are a second generation family owned and operated business. 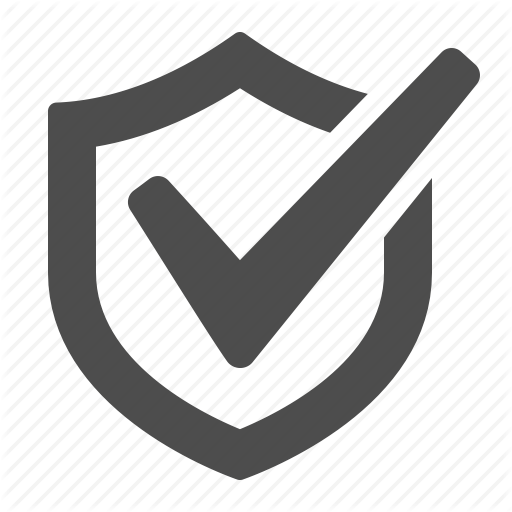 Our outstanding reputation and excellent success is a direct reflection of the honesty and hard work that is the foundation of our operation. 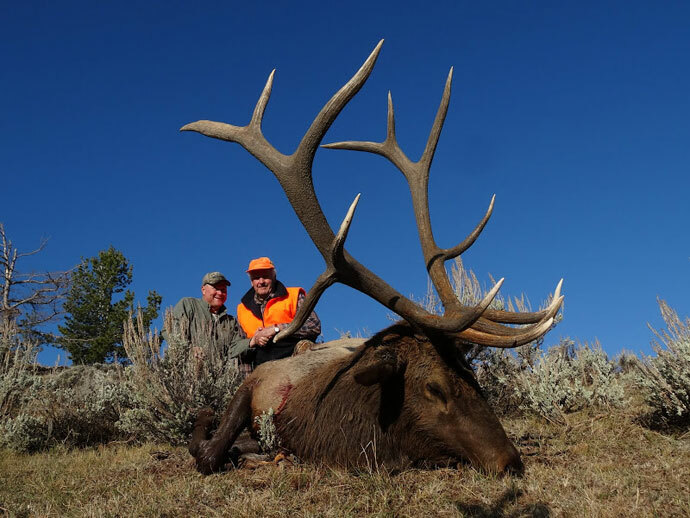 The only BULL you get from us is one you can hang on your wall My wife Kristi and sons Garrett and Colter take care of camp and make sure the details are taken care of. After a long day in the field it is nice to come back to camp and enjoy a warm home cooked meal. 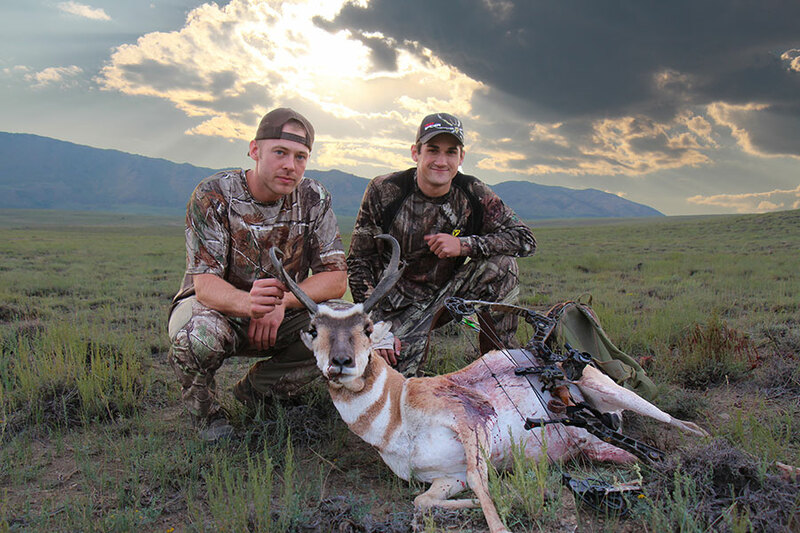 Every hunter gets the privilege of enjoying at least one "steak night" at the ranch. This alone is enough to come back for.